BlackBerry Ltd said on Wednesday it hired two more senior executives who previously worked with its new chief executive officer, bolstering a newly assembled team charged with putting the stumbling smartphone maker back in stride. The pair are part of a growing cadre of familiar talent tapped by John Chen since he joined BlackBerry as CEO last month . Chen built his reputation as a turnaround specialist at Sybase, a database and mobile software company that was eventually acquired by SAP AG, the German software firm. After the deal Chen served as president of SAP's mobile services business to help with the target company's integration. At BlackBerry , James Mackey will take charge of acquisitions as executive vice president for corporate development and strategic planning, while Mark Wilson was named senior vice president of marketing. Mackey had previously headed corporate development at SAP, where he led more than 40 acquisitions, before joining OpenText Corp, a neighbor of Waterloo, Ontario-based BlackBerry, last year. Wilson last year joined Avaya as chief marketing officer, after working for many years at Sybase. "I have worked extensively with both of them in the past, have the utmost respect for their experience and accomplishments," Chen said in a statement. "We have developed close and trusted relationships with each other that will enable us to cohesively manage the changes required to reshape BlackBerry," said the chief executive, who was named to replace Thorsten Heins last month. On Tuesday, BlackBerry named another former SAP executive, John Sims, as head of its global enterprise services business, a segment that is likely to be at the core of the smartphone maker's turnaround plan. Chen is expected to provide greater detail on his turnaround plans for BlackBerry on Friday, when the company announces its quarterly results. 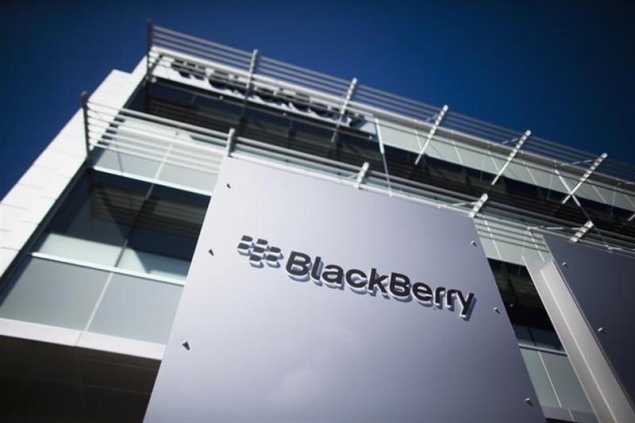 Waterloo, Ontario-based BlackBerry said Sims would join the company in January. BlackBerry pioneered the concept of on-the-go email, and for years its pagers and phones were must-have devices for political and business leaders. But its market share has dissipated in recent years as Apple Inc's iPhone and a slew of phones powered by Google Inc's Android software have surged in popularity. The company had put itself up for sale earlier this year but dropped that plan last month. Instead it will raise $1 billion by issuing convertible notes to a group of long-term investors, including its largest shareholder, Fairfax Financial Holdings Ltd, and announced Chen's appointment. At the time Chen said he had no plans to kill the company's money-losing handset business but gave little more detail on his strategy. He said a turnaround would take about six quarters to execute. In September, the company said it was retreating from the consumer market to focus on its traditional strength serving businesses and governments.